Hatboro Police Chief James E. Gardner announces the results of the investigation into a suspicious package discovered outside of State Representative Thomas Murt’s office at 19 South York Road, Hatboro. 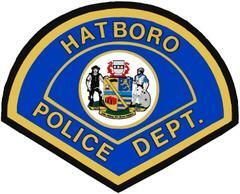 On October 24, 2018 at approximately 8:54 P.M. Hatboro police were dispatched to a report of a suspicious package outside of the legislator’s office. Upon arrival officers discovered a large blue duffle bag deliberately placed against the front doors of the office. Based on the appearance and placement of the bag, and due to concerns of recent explosive devices being sent to national political leaders, the Montgomery County Sheriff’s Department Bomb Disposal Unit was dispatched to the scene to further assess the situation. Persons residing in apartments in close proximity to the location were evacuated during the investigation. Bomb technicians utilized specialized equipment and ultimately determined the bag contained nothing dangerous, only miscellaneous items and other bags. It is believed the items may have been left as a donation for persons in need. In addition to the Montgomery County Sheriff’s Office, Hatboro Police were assisted by the Enterprise Fire Company, Second Alarmers Rescue Association, Hatboro Emergency Management and Upper Moreland Police. A portion of York Road was closed during the event and was reopened at 11:00 PM.